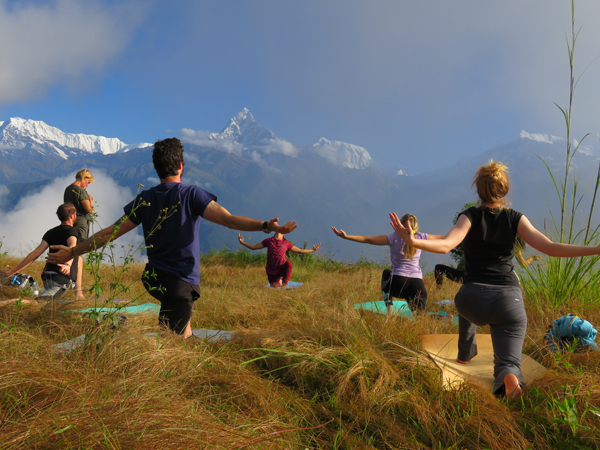 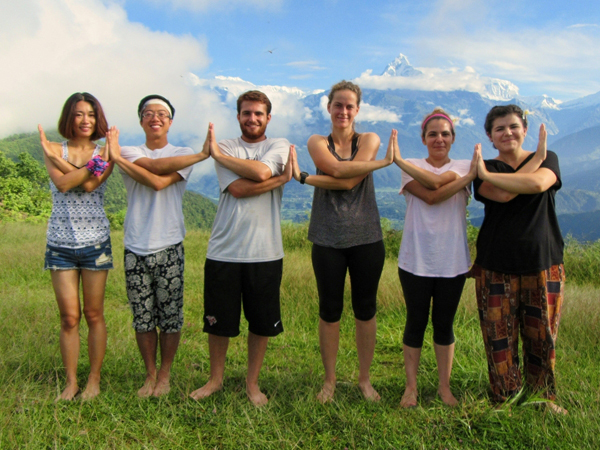 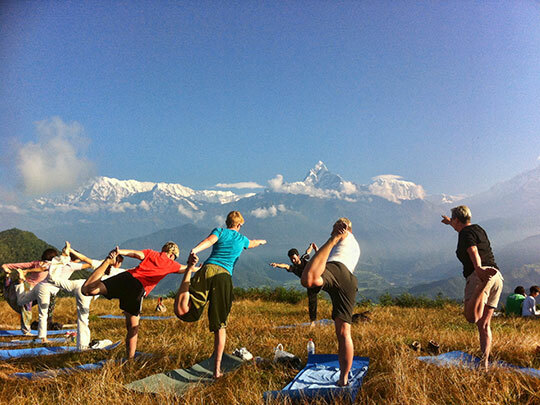 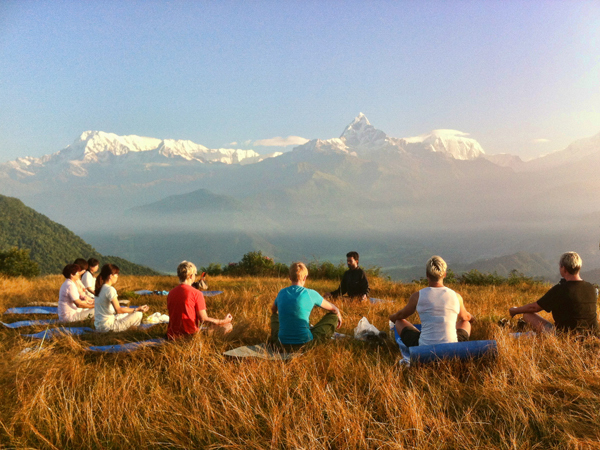 Sarankot is the highest peak of Pokhara Valley and our morning program combines a visit to this famous vantage point with viewing of the sunrise against the backdrop of breath taking mountain panorama, coupled with a short hike and a morning yoga and meditation session in this natural setting, which makes for a perfect start to the day. 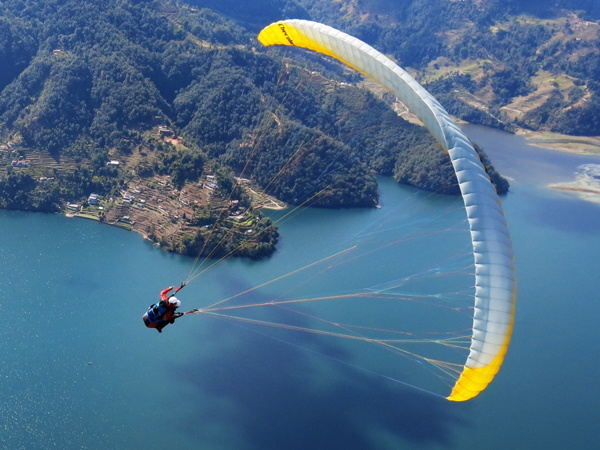 From here you also get a chance to add some optional adventure activity with a 30min paragliding flight that takes you soaring through the air with hawks and eagles until you land safely back in Lakeside. 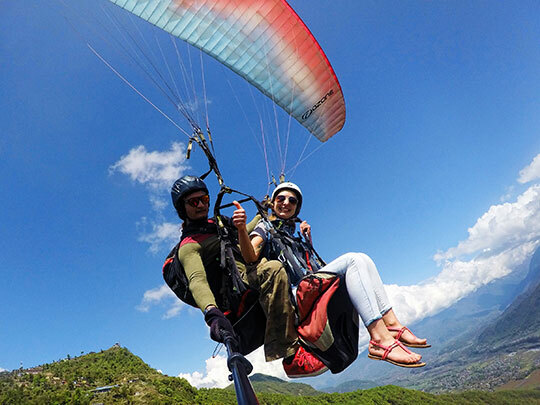 Everyone else who is not looking this type of thrill will be dropped back to their hotel by road transport. 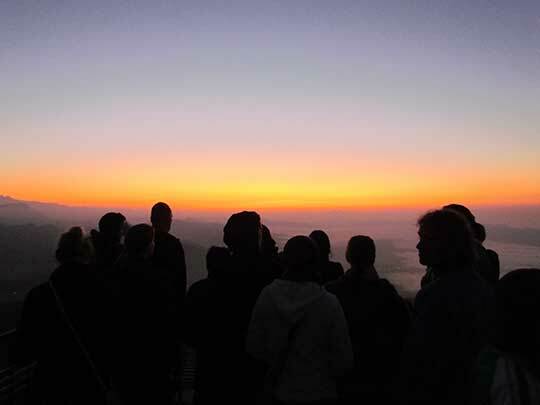 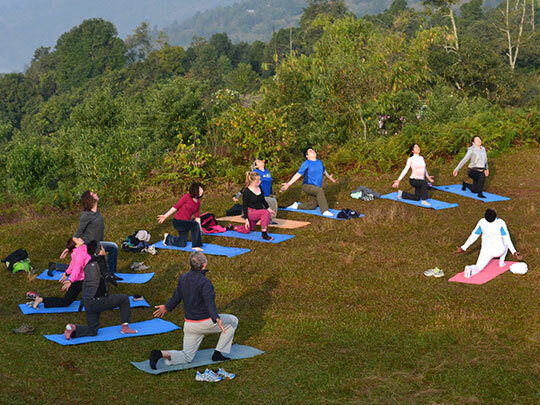 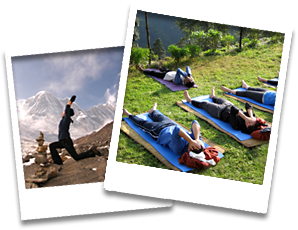 This active tour is perfect for anyone who wants to spend an eventful morning hiking, admiring stunning vistas, doing outdoor yoga and meditation in front of the mountains and witnessing local life from a different perspective.